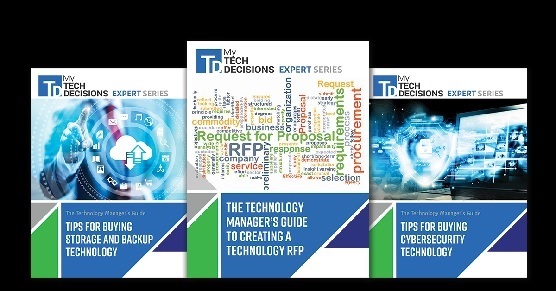 In this episode of My TechDecisions Podcast, host and TD Managing Editor Jonathan Blackwood interviews Nimmy Reichenberg, Chief Marketing Officer for Siemplify, about what organizations can get out of hiring a cybersecurity service provider to assist its security operations team. Siemplify (pronounced as simplify) is comprised of cybersecurity professionals, many veterans of Israeli intelligence agencies. The team brings experience in security analysis, management, and operations, and are backed by experts in data science and applied mathematics. The company offers a number of products, specifically for enterprise security orchestration and automation through a complete SOC workbench. Nimmy oversees all marketing activities including strategy, demand generation, communications and branding. An industry security veteran, Nimmy brings over 15 years of marketing leadership experience. Nimmy previously served as Chief Marketing Officer at eSentire and Vice President of Marketing at AlgoSec and NextNine. So he’s the perfect person to speak about the benefits of companies such as his. Nimmy dives deeply into each of these challenges in the interview. He discusses how they came to be such a hassle for organizations, and how cybersecurity partners can help to ease the burden of these challenges. We also discuss the cybersecurity landscape as a whole, and postulate on what the future holds in terms of enterprise cybersecurity. Anyone interested in learning more about hiring outside vendors to assist in cybersecurity should give this interview a listen.